The catering specialist behind one of the UK’s top racecourses has proved it’s still the front-runner when it comes to quality, by securing an additional five year contract with Perth Racecourse. Sodexo Prestige Venues and Events, catering and hospitality expert to several of Scotland’s most exclusive venues has had a great start to the year, with several stories making their way into key industry titles, with the help of our Edinburgh PR experts. 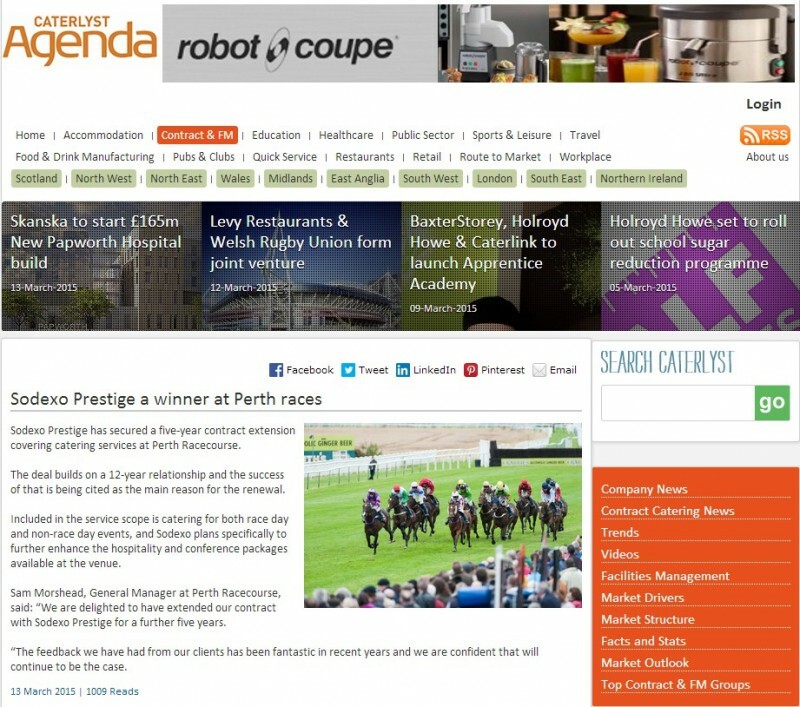 After 12 years of outstanding services at Perth Racecourse, Sodexo Prestige has recently won the race to secure a five years contract extension. The success comes as a result of the top-quality service Sodexo Prestige provides as in-house caterer. 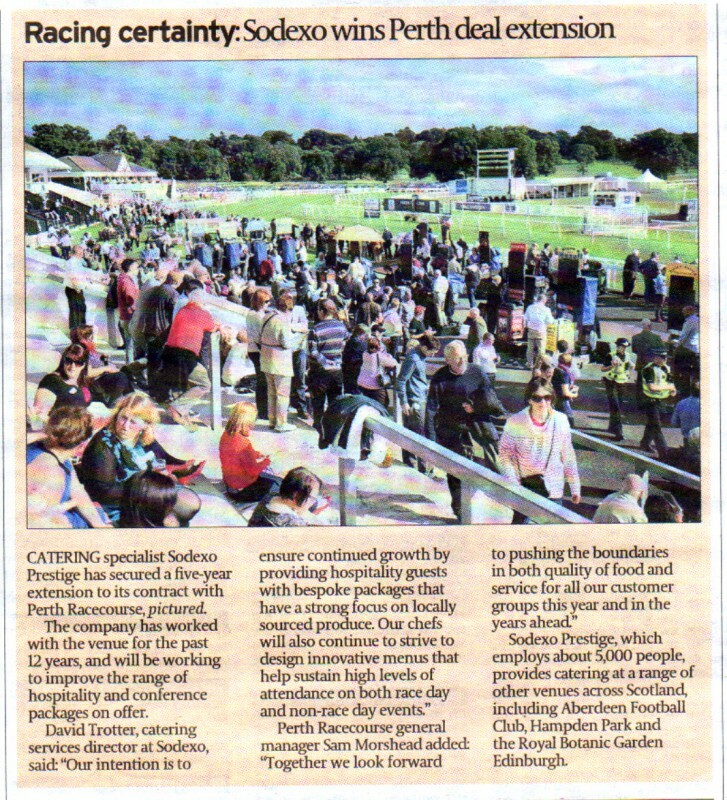 Sodexo Prestige is focusing its attention on the use of fresh local products in its menus for Perth Racecourse to help secure greater numbers for significant events, such as Ladies Day. The aim is to generate increasing sales and drive more custom to the exclusive venue, whether it be to watch the races or to attend an event at Scotland’s most northerly racecourse. The story got the attention of many key trade sites like Venues, Caterlyst Agenda and MeetPie. In addition, other websites such as Scotland Food and Drink and Travel and Tour World featured the news, as did Scotland Business News network. The Scotsman, with an circulation of around 27,208 and an average of 119,672 visitors a day on its website, ran the story in print and online. This coverage was gained as part of a long running campaign with Sodexo Prestige to share their many different stories with key industry press and national newspapers.